KRC has provided the below social and health services to low-income and Limited English Proficient families. In 1996, KRC launched its multi-faceted Civic Engagement Project to provide a seamless path to full participation for immigrants that included voter registration, education, and mobilization. The project expanded to include naturalization & English and Civic classes in 2006. For over 16 years, KRC has registered over 19,000 voters, distributed 160,000 voter educational materials, and assisted 17,000 of voters through its Voter Hotline. KRC also encourages between 3,000 to 10,000 voters to exercise their voting rights each election cycle. 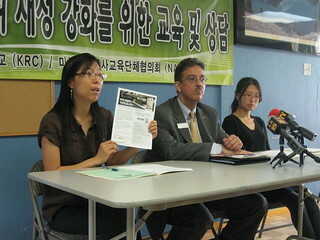 With many Korean Americans facing difficulty paying their mortgages, KRC started an education and consultation program in 2008 to prevent foreclosure and was approved in July 2010 by the Department of Housing and Urban Development as a certified Local Housing Counseling Agency. 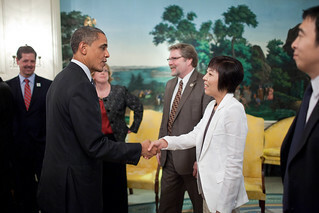 KRC had its foreclosure consultation work recognized by the “Champions of Change” award by the White House and discussed policies for homeowners with President Barack Obama.